Elton’s best-selling album collects all of the big hits through the first half of the 70s. Kronomyth 10: This one’s for you. Somewhere around Honky Chateau, it became clear that you were only going to find two great songs on any given Elton John album, a rocker and a ballad. I’m not complaining, since those two songs were usually worth the price of the album, but you secretly wished you could just cut out the filler. Greatest Hits cuts out the filler. It’s not just pure gold, it has gone platinum seventeen times over since its release—and those are just the U.S. sales. 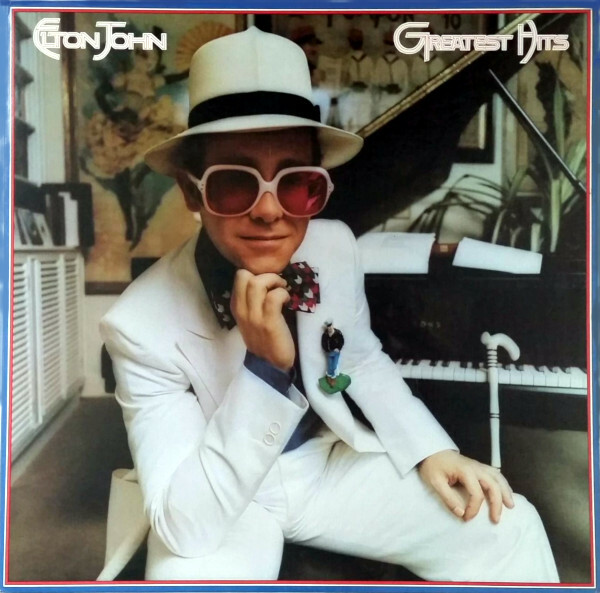 When I was in the fifth grade, I went through an Elton John phase where I was convinced he was the greatest musician of all time, even eclipsing The Beatles. That’ll happen when the first Elton John album you own is Goodbye Yellow Brick Road; with time, you come to realize that not every Elton John album is brilliant. On the remote chance that you’re not familiar with Elton’s body of work, and I can only imagine this applies to younger listeners, Greatest Hits is a great place to start. Then I would pick up Yellow Brick Road, Captain Fantastic, Rock of the Westies, maybe Madman Across The Water (which this compilation skips over) and move on. Of minor interest, the US and Japanese versions of Greatest Hits featured “Bennie And The Jets” in place of “Candle In The Wind.” In 1992, both tracks were included on an expanded 11-track version. 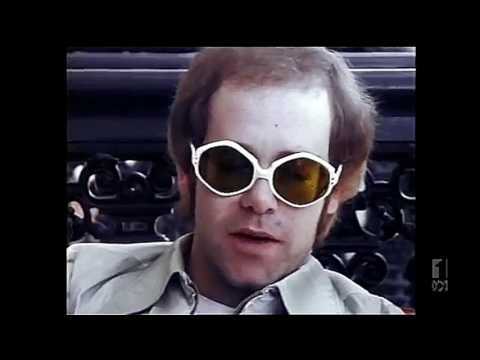 All songs written by Elton John and Bernie Taupin. Released on elpee and 8-track on November 4, 1974 in the UK (DJM, DJLPH 442), the US (MCA, MCA/MCAT-2128), Germany (DJM, 88 474 XOT), Israel (CBS, 25879), Italy (DJM, ORL 8068) and Japan (DJM, IFS-80055) with diecut picture innersleeve; reached #1 on the UK charts and #1 on the US charts (RIAA-certified 17X platinum record). 8-track features different track order. Re-issued on elpee in Japan (DJM, 25AP-1558) with diecut picture innersleeve. Re-issued on elpee in 1979 in the US (MCA, MCA-5224). Re-issued on elpee in 1980 in the US (MCA, MCA-37215) and Portugal (DJM, MM-7-019). Re-packaged with Greatest Hits Volume II on 2LP in the US (MCA, R231711), produced for RCA Music Service. Re-issued on cassette in the US (MCA, MCAC-1689). Re-issued on compact disc in 1984 in the US (MCA, MCAD-37215). Re-issued on expanded compact disc and cassette in 1992 in the US (Polydor, 512 532-2/4) with one bonus track. Re-released on 24k gold expanded, remastered compact disc in the US (DCC, GZS-1071) with one bonus track.